Our permit to climb Manaslu cost us ten thousand dollars, money, which according to the rural Nepalese, went directly into the pocket of the monarch. The story of a leader who lines his own pockets while ignoring the plight of his people is as old as it is familiar, and in Nepal it has led to a Maoist insurgency. Like their namesake, the Maoists claim to believe in an agrarian utopia and find support among the rural poor. Fortunately for us the Maoists don’t have a beef with anyone other than their king, and equally fortunate is the fact that the local farmers, despite being poor and largely uneducated, are far from stupid. 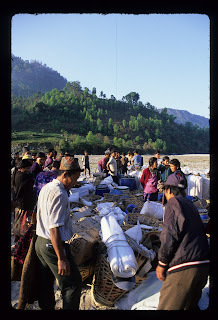 The inhabitants of the Manaslu region are subsistence farmers, and consequently earn very little cash money. One of the only cash jobs available is carrying loads for foreign tourists, and so if the Maoists drive away the tourists they will simultaneously lose local support. The upshot is that the Maoist’s go to great pains to state that their beef is with the government and not with the Western tourists/climbers. I didn’t worry about the insurgents, but I was concerned about simple bandits posing as Maoists. Shiva, on the other hand, had a lot to worry about. Shiva was our government appointed liaison officer. The Nepali government requires that all major mountaineering expeditions outfit and bring along a government agent, but the precise duties of this agent are unclear at best. 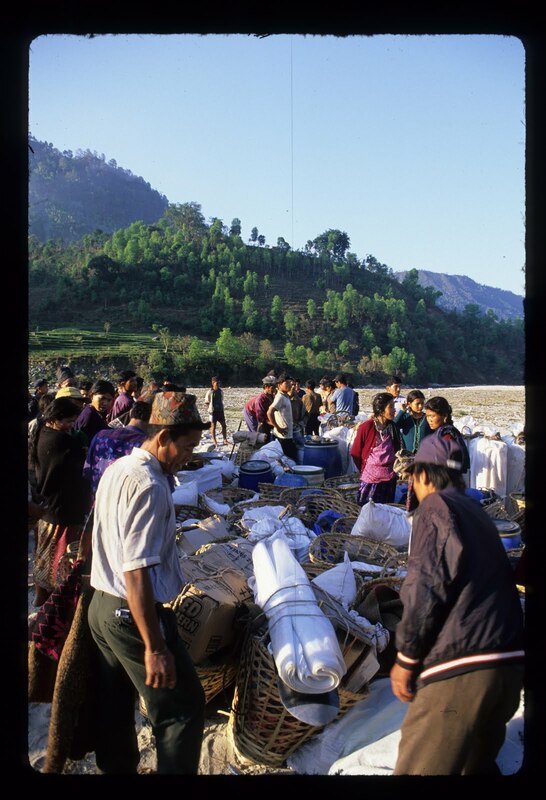 Liaison officers are typically viewed, especially by the Nepali staff, as excess baggage, and those that actually leave Kathmandu are generally treated as outsiders. Shiva was small, thin and delicate and was treated early on as a non-person by our trail hardened staff. “Which way do you want to go Shiva,” I asked. Shiva stood quietly for a moment and then began walking down the well-trodden road.